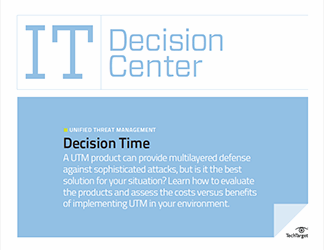 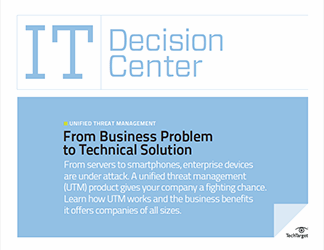 Unified threat management (UTM) long focused on small and medium-sized businesses, but now it's climbing the ladder and attempting to become enterprise-class technology. 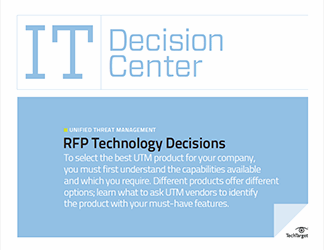 This Technical Guide shows IT pros how to determine whether a vendor's UTM is truly an enterprise-grade security appliance and, if so, how to integrate and manage it into existing infrastructure. 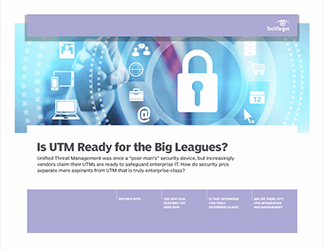 Is that enterprise UTM truly enterprise-class?